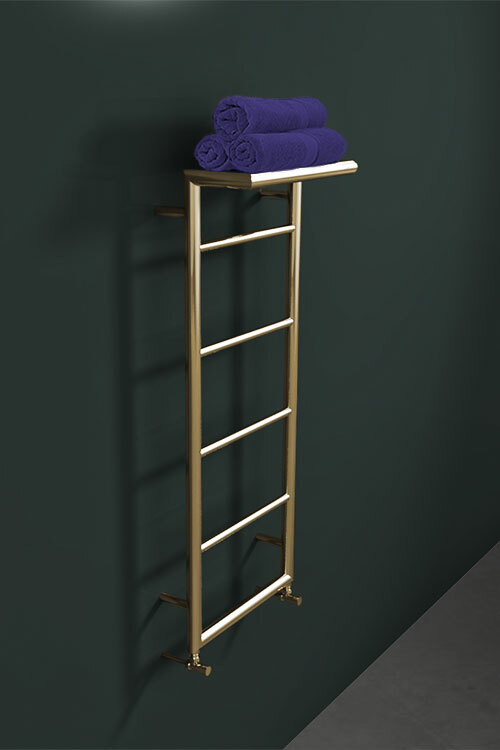 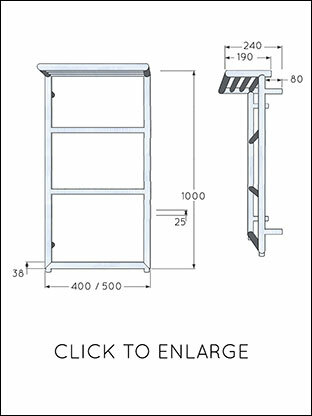 This gold wall mounted towel rail includes a top rack to provide extra towel storage. 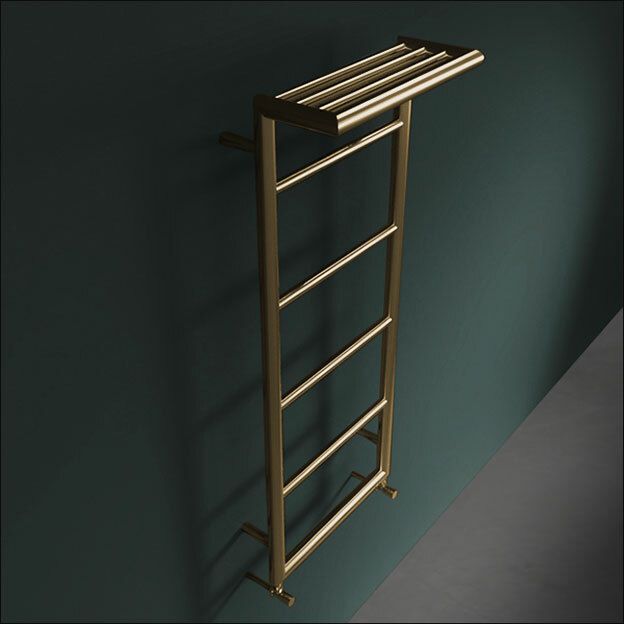 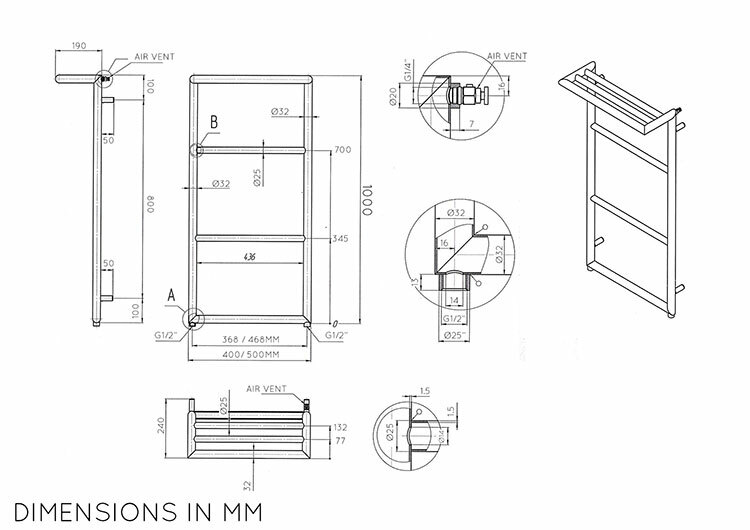 An exclusive contemporary design, this gold towel warmer is ideal for modern bathroom designs. 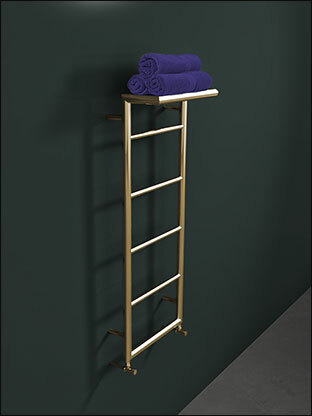 Available for central heating, electric or dual fuel systems. 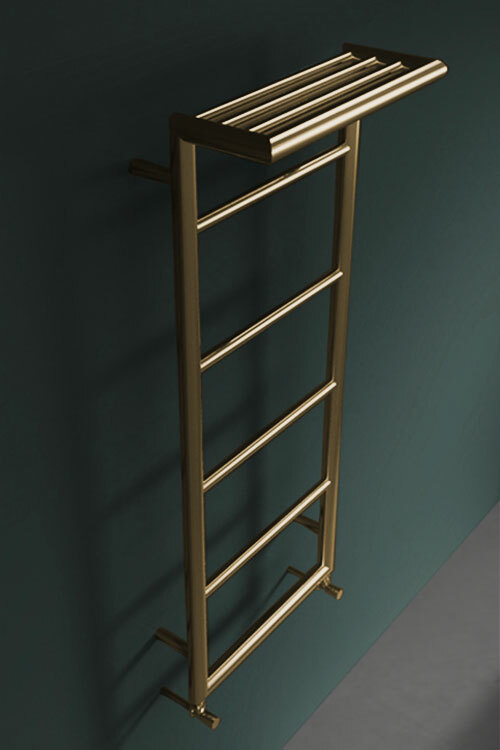 All gold towel rails are made to order.